Meet Tom Malinowski and Help Flip the House! Join Congresswoman Katherine Clark, Ambassador Samantha Power and Force Multiplier in Turning the House of Representatives Blue in 2018! 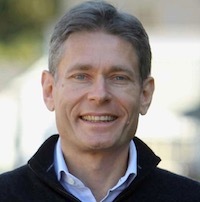 Tom Malinowski is the Democratic nominee for the House of Representatives from the NJ 07th Congressional District. He immigrated to the United States from Poland at age 6. After studying at Oxford after winning a Rhodes Scholarship Tom worked on President Clinton’s National Security Council, focusing on strengthening NATO. He became the Washington Director for Human Rights Watch, one of the world’s leading organizations standing up for democratic values and social justice. He then served as Assistant Secretary of State under President Obama. He has worked to stop the use of torture, to help the US lead the fight for womens rights and LGBTQ rights. Tom has been endorsed by DCCC Red to Blue, End Citizen’s United, and many others. Please donate what you can and join us!